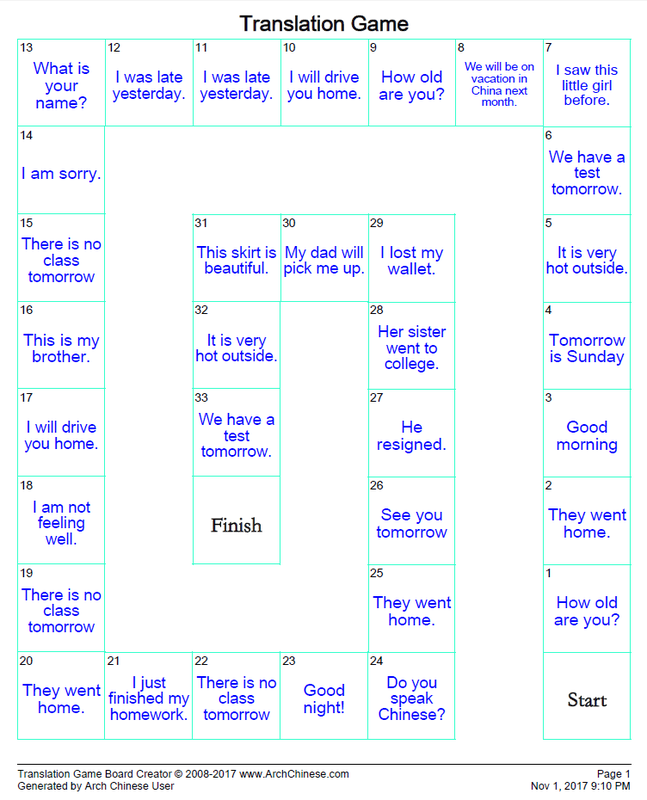 This tool allows Chinese teachers to create fun sentence translation board games for classroom use. The teacher divides the students into groups of three. Each group has two players and one referee. The players roll a die to move on the board. The players have 30 seconds to translate the sentence or phrase of the square they've landed on. The referee will then tell the players if their translation is correct by checking the answer sheet. If the translation is correct, the player will have a second chance to play. If the translation is incorrect, the referee reads the correct translation to the player twice. 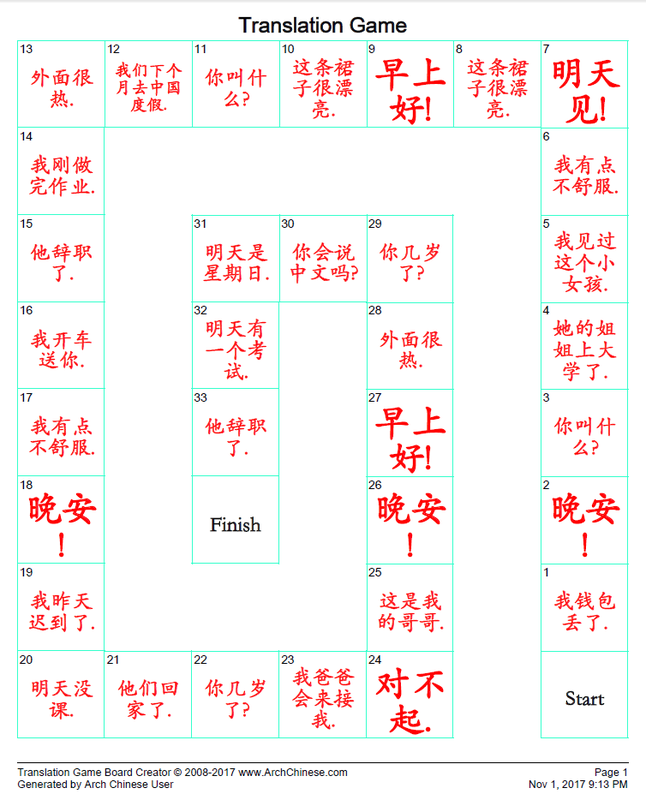 The player must memorize the translation and read it aloud when it is his/her turn again. The player who lands on the Finish square first is the winner.